Written by Sandra Jurišić & Ivana Bole. 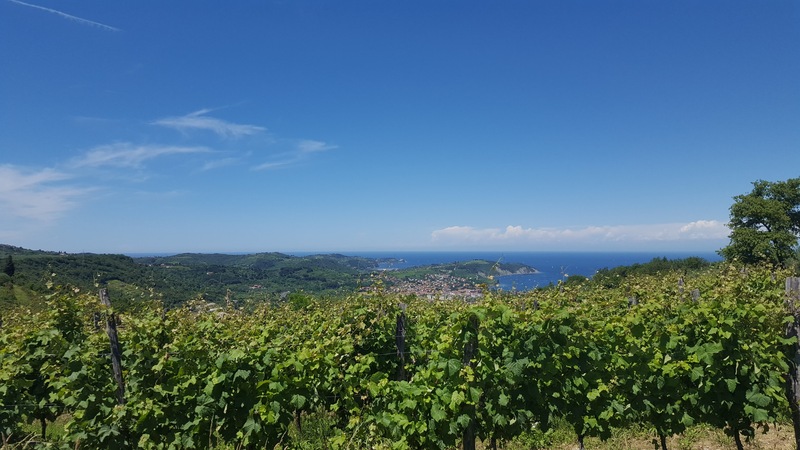 Albeit small, the Slovenian coast, less than 47 kilometres in length, has quite a lot to offer. There are a couple of popular resorts teeming with tourist both international and local, enjoying the sun and the sea. Countering the vivaciousness of the resorts are quaint old towns with rich history closely tied to the old Venetian republic, still very much alive with easy going Mediterranean flair. For those seeking a more private experience there are several secluded beaches promising a relaxing escape in the shade of Mediterranean trees, accompanied by an orchestra of cicadas. One of the most popular summer destinations for tourists and locals alike, the alpine lake Bled is an excellent option for those who would like to combine swimming with sightseeing. As if the pleasantly warm temperature of the water weren’t enough, a swim in the lake offers postcard views wherever you turn. Those wanting merely to get their feet wet may prefer to stick to one of the two swimming areas, while more courageous swimmers can opt for an invigorating swim to the charming island in the middle of the lake. 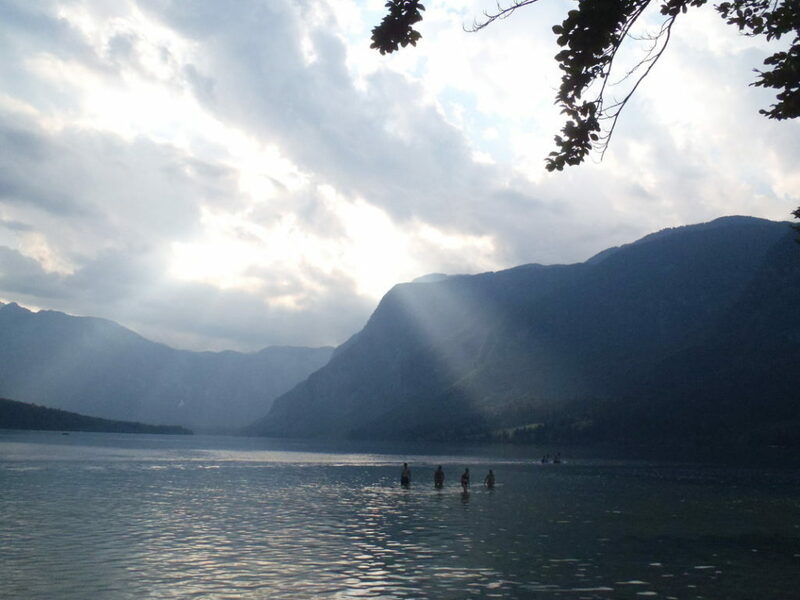 In the past several years, the popularity of lake Bohinj has skyrocketed, mostly among locals, making it the perfect choice for tourists looking for a more genuine experience. While not as readily accessible as lake Bled, lake Bohinj is a destination very much worth your while. If you fancy less of a crowd during your swim and you don’t mind a bit of a hike, there are more secluded areas along the lake into the glacial valley. The true appeal of lake Bohinj are undoubtedly the majestic Julian Alps surrounding it, as they are a sight to behold and be humbled by. Located in the Triglav National Park, the lake is perfect for those who prefer their beaches untamed and want to spend time in a bit of wilderness. 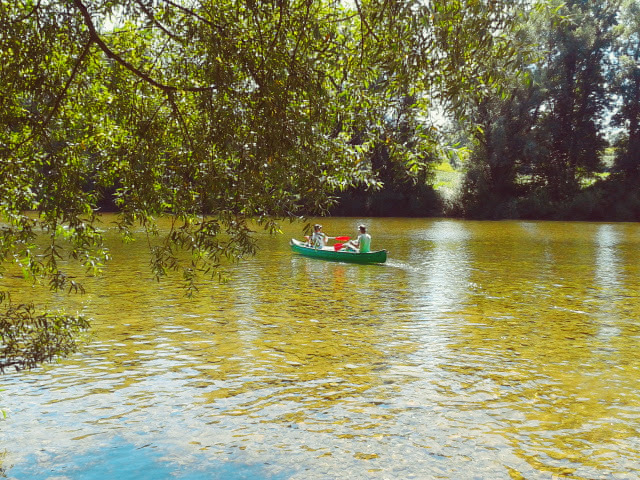 Among the many Slovenian rivers, the Kolpa river boasts the warmest water and is a delight to swim in. This makes Kolpa a very popular swimming destination, so popular, in fact, that a great number of swimming areas have sprung along it. The river is great for a swim, but you can also find natural pools that you can jump in, sit down on small cascades while the water splashes around you, or enjoy some of the many activities available, such as canoeing, stand up paddling or beach volleyball. Even with a number of people, the peaceful surroundings are interrupted only by the chirps of endemic birds like the heron or the finch. Located near the famous Soča river, the Nadiža river is not only one of the cleanest in Slovenia, but also pleasantly warm and refreshing in the summer. Sharing the colour of its big sister Soča, this lesser known emerald beauty is said to have certain healing powers. If lying on pebbly beaches is not exciting enough for you, you can always try jumping into its basins and rock pools. There is a few camping sites nearby, if you wish to spend more time exploring this beautiful region. These are just a few of the locations you can choose, but of course Slovenia has a lot more to offer, such as the upper Sava river, numerous other lakes like the Šmartinsko lake, or for those more inclined towards off-the-beaten track destinations, some of the remote cascades scattered throughout the country. And, of course, if you end up here in the winter, do not forget the numerous natural hot springs - but we'll leave that for some other time! Tagged Coastal region, lake, off the beaten track, river, top 5, Triglav National park. Bookmark the permalink.